Time Out Pub starts its walk on 12 April 1981. We came up with the idea on a Christmas day in 1980 and decided to start a pub concept, which for Taormina, even if already internationally acclaimed, was something completely new. The original pub was tiny, yet outside with its steps overlooking the ruins of the antique Roman theater "Odeon" where customers could sit and admire the ancient ruins. 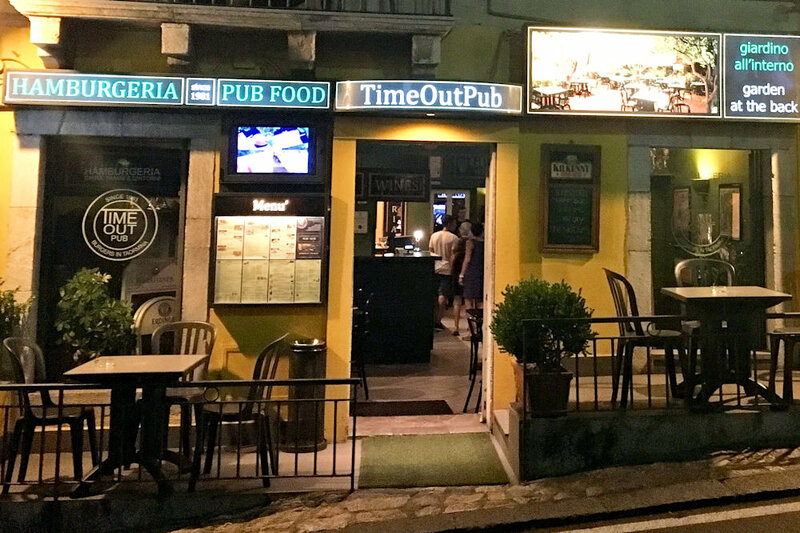 Just a few meters from the main street, the location helped Time Out Pub to become a melting pot for locals and tourists who loved the warm atmosphere and good quality of food and drinks. In 1986, we took the leap and moved to a bigger premises with a large shady garden at the back. The pub opened on 19 February 1987 with a new look and it became even more popular than the previous location. We began to understand the importance of showing live sports on big screens and TV digital systems. In June 1990, during the "Italia 90" Football World Cup, we met the Irish supporters for the first time and it was love at first sight!!. In February 1995, we opened as an Irish Pub. We went for the challenge and became a meeting point for Irish and international tourists that came to visit our stunning little town of Taormina. At the end of 2006, we decide to give Time Out Pub a new look and after a few months of hard work the pub reopened with a more varied food menu. Time Out Pub is a friendly cosmopolitan pub, serving good food and great drinks surrounded by great music and a pleasant atmosphere.